Hillary Clinton sat down with CNN’s Christiane Amanpour for a town hall interview on Tuesday, June 17 to promote her new book “Hard Choices” and was greeted with questions that tilted five to one in favor of liberal issues. If someone wants to dislike the president, remember, 60 percent is a landslide. If you get that kind of vote. That means 40 percent, four out of 10 people don't like you. And you have to know that, because even if you get to 60 percent, which is hard to do, you're operating on a margin where four out of 10 are never going to be happy or satisfied. I believe that there are people who have trouble with ethnicity, with race, with gender, with sexual orientation, you name it. And therefore, they are not developing a reasoned opinion -- even if it's an opinion in opposition, but they are a reacting on a kind of visceral stereotypical basis. And that's unfortunate. CHRISTIANE AMANPOUR: Senator Jay Rockefeller said recently and he suggested basically that some of the political opposition to President Obama could have something to do with the color of his skin. Do you agree with that? What do you think about that? CLINTON: Well, I can't read the mind of all of the opposition. But some of it is virulent, and really, in my view, you know, quite detached from the job that not only this president is doing but any president has to do. It's a really hard job. And you're not going to agree -- I don't care who you are -- with everything any president does. And so there are many reasons why people are opposed to political figures. I felt when I ran in '08 that there were people who were opposed to me because I was a woman. So, you have to really try to keep getting up everyday and doing the best you can. That's what President Obama has done. 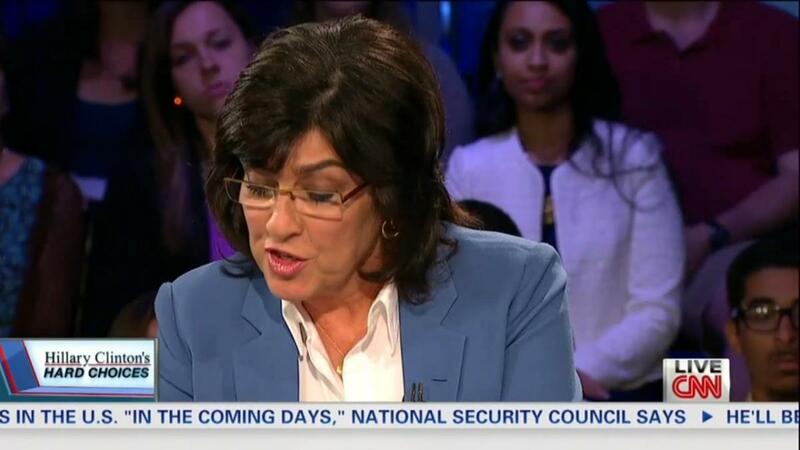 AMANPOUR: Do you think some of that is latent racism, vestiges of racism, as some people have said? CLINTON: Well, I know that -- I don't want to -- I don't want to say that I verify that, because that would be generalizing too broadly. I believe that there are people who have trouble with ethnicity, with race, with gender, with sexual orientation, you name it. And therefore, they are not developing a reasoned opinion -- even if it's an opinion in opposition, but they are a reacting on a kind of visceral stereotypical basis. And that's unfortunate.